I didn’t get to any baking today. With me breaking my toe yesterday and whining about it all this morning, and then the kiddos having dentist appointments today…it just wasn’t the day. I’ve been meaning to post this recipe since my birthday at the beginning of March, but life just happened. Preheat oven to 350 degrees. Grease and flour 9×13 pan or 2 9 inch round pans. In medium bowl, combine flour, baking soda, salt, and cinnamon. Set aside. In mixing bowl, combine eggs, buttermilk, oil, sugar, and vanilla. Mix well. Add flour mixture and mix well again. In a medium bowl, combine carrots, coconut, pecans and pineapple. Stir this together and then fold into cake batter. Pour into prepare pan(s) and bake for 1 hour, or until toothpick comes out clean. Allow to cool completely before adding frosting. I’m not excited about these pictures, but I lost all my good birthday pics when my computer crashed a few weeks ago. 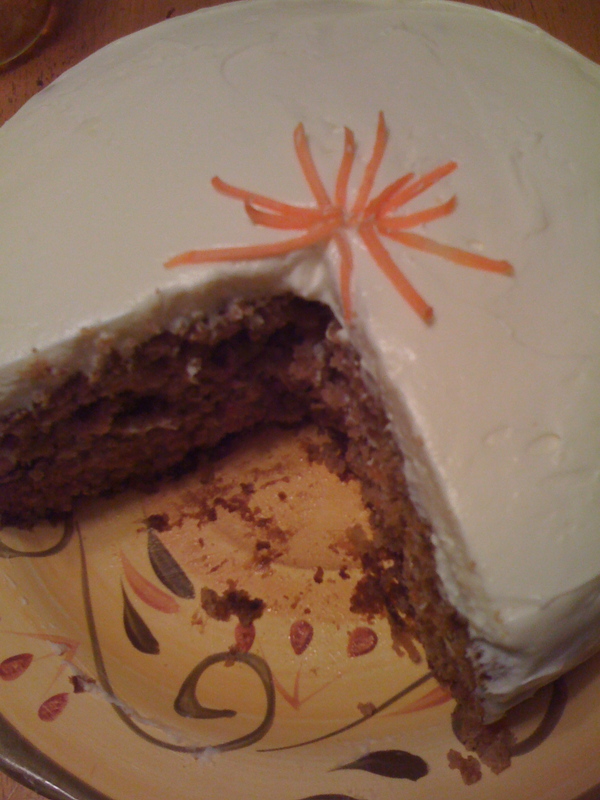 Though the quality of the pics are poor….the cake was awesome!! 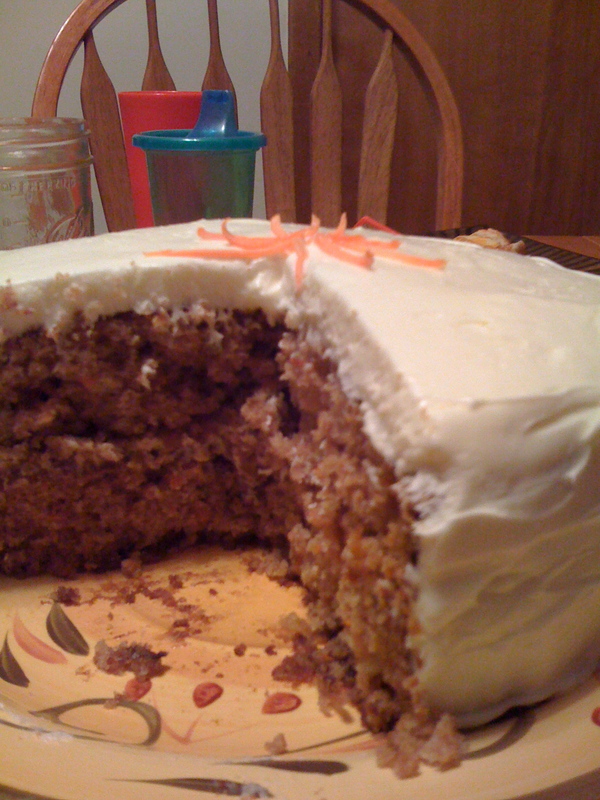 oh my. . .carrot cake is my fave. i love coconut and pecans; and i’m glad to see there aren’t any raisins in this recipe! yummo!